We have also learned that the church is not under formal contract to sell the property to any buyer and that all offers are likely to be presented to the congregation for vote before any final deal is struck. The church property has been listed for sale for over 2 years, but only after it became known a buyer had stepped forward with a plan to buy and demolish were other offers tendered. Of the 4 offers, at least 2 include promises to preserve the church buildings. The amounts proposed by the various parties are not currently known, but the 32-acre property is currently listed at $5.65 million, representing a substantial reduction from the initial asking price of more than $8 million. In the case of a least one contract, the church board has signed a non-disclosure agreement that prohibits them from disclosing details, including the identity of the buyer. Tomorrow, city councilman Ed Shadid will introduce a resolution to commence a process that could lead the church to be rezoned as a historic landmark, thus protecting it from substantial changes and demolition. First Christian has hired attorney David Box to oppose the change in zoning. 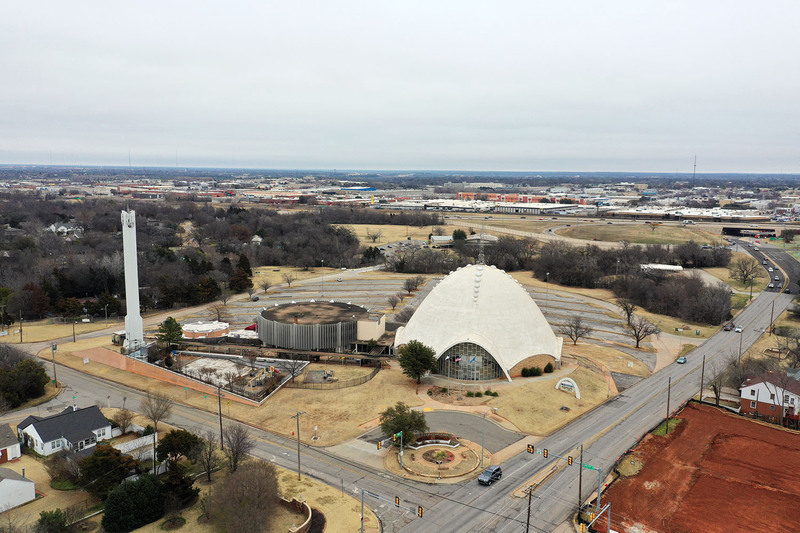 The situation with the church is very similar to that of Classen Circle. 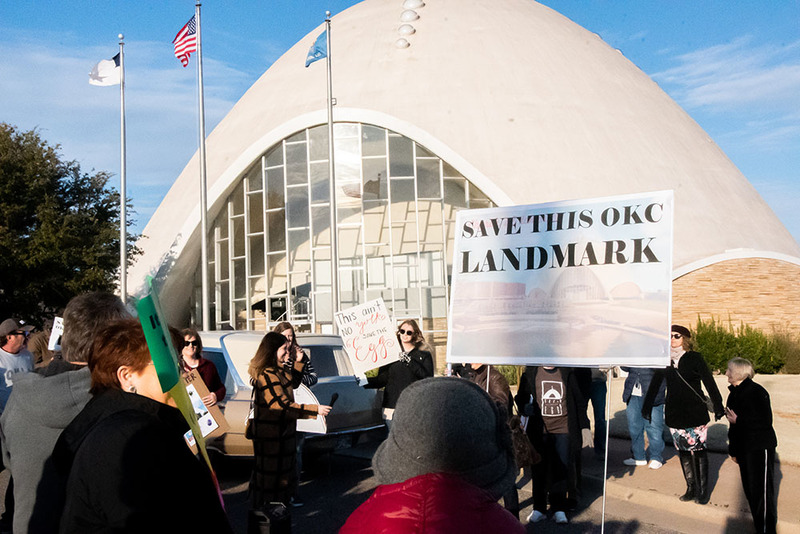 When OKCTalk broke the story that Braum's was planning to purchase and demolish the historic Donnay Building in July of 2017, a public outcry led to protests and utlimately Braum's withdrew their plans. Quickly thereafter a new buyer stepped forward which is now in the process of renovating the property. Preservationists hope for the same outcome here, where an offer is accepted that would preserve the egg-shaped church and the other related mid-century structures, such as the Jewel Box Theater. No formal action by the church is expected for at least a month. If Shadid's resolution passes tomorrow, a 180-day moratorium against demolition will start, regardless of the final historic landmark vote.